Last month, I visited Guatemala on a tour sponsored by the Guatemalan Tourism Board and led by Maynor Ovando from Birding Expeditions. I had never visited the country before, and I really wasn't quite sure what to expect. But I'm so glad that I went, because Guatemala was nothing like what many people had told me! After a very late arrival in Guatemala City and a transfer to our hotel in Antigua, I was ready to get some rest before an early morning of birding the next day. Since it was dark when we arrived, we didn't see much of the town but it was clear the next morning that this was a special place. As we walked a few blocks to our van, we were in awe of the wonderful architecture in the old town. 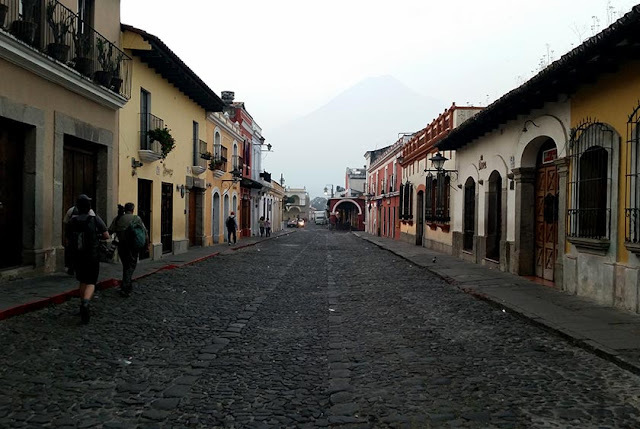 Walking along the streets of Antigua. Our first morning of birding took us to the hills above Antigua. Not only was there wonderful birding, but the view of the town was incredible as well. I saw my first of many lifers while birding the hills, Gray Silky-flycatcher. 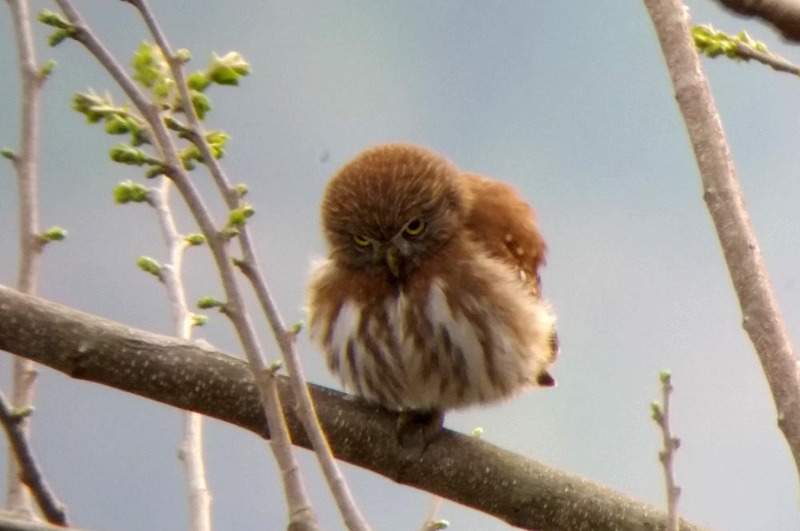 This Ferruginous Pygmy-Owl was very active in the area we birded on the first morning. 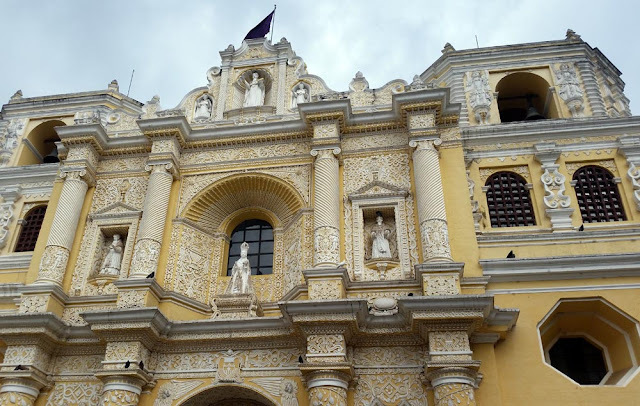 You can't come to Guatemala and not spend some time exploring Antigua, so we spent the afternoon on a city tour. That would have been a neat experience itself, but we were treated to an incredible Holy Week parade with thousands of people in attendance. We spent a couple hours just enjoying the event! Iglesia La Merced had amazingly intricate designs on the building. 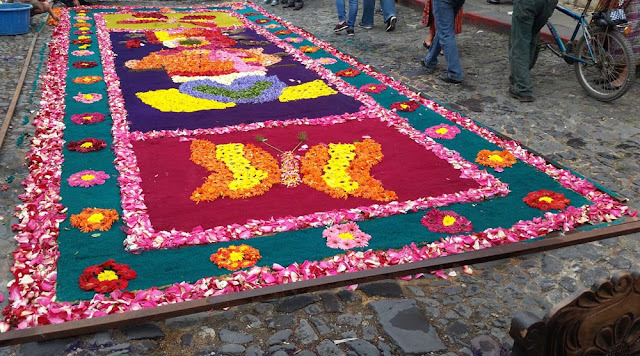 These works of art are made from flowers and will then be walked over by the parade. 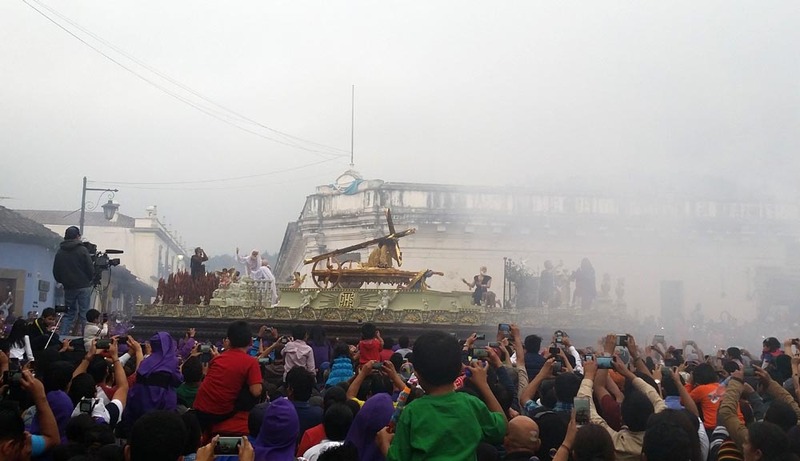 This huge "float" was carried by dozens of people though the streets. We departed early the next morning for Reserva Natural Privada Los Tarrales with a stop along the way for a very special bird. After a very nice breakfast at Restaurante Rincón Suizo, we hit the trails around the restaurant. 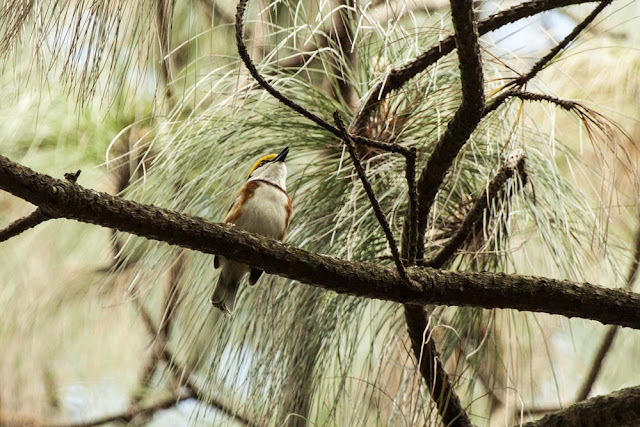 These trails led us through a beautiful pine forest which is home to the incredible Pink-headed Warbler. 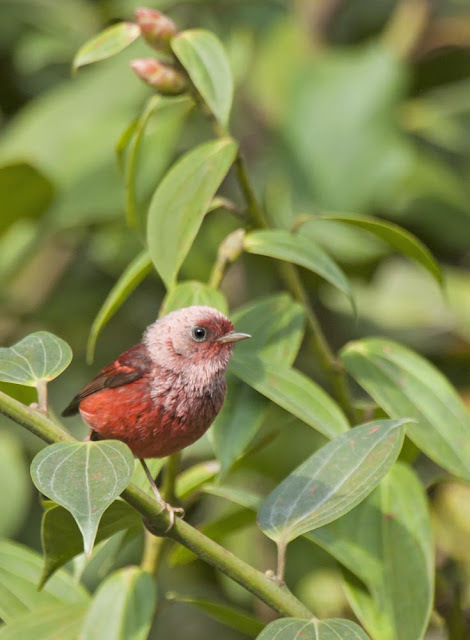 This was one of the main birds I wanted to see on the trip, and they did not disappoint! Other highlights here included Blue-throated Motmot, Chestnut-sided Shrike-Vireo, Golden-browed Warbler, and Hooded Grosbeak. Check back soon to hear about the next part of my Guatemalan adventure!